I hope I will be able to briefly show you these big little brushes without sounding too irrational. In a few words : are they essential ? no. Are they lovable ? Absolutely 100%. I felt like Alice in Wonderland unwrapping these beauties. They are huge, long and you will feel insanely small in proportion ! Specially when you spend a lot of time using tiny Koyudo or Kihitsu brushes and then you jump to these ! 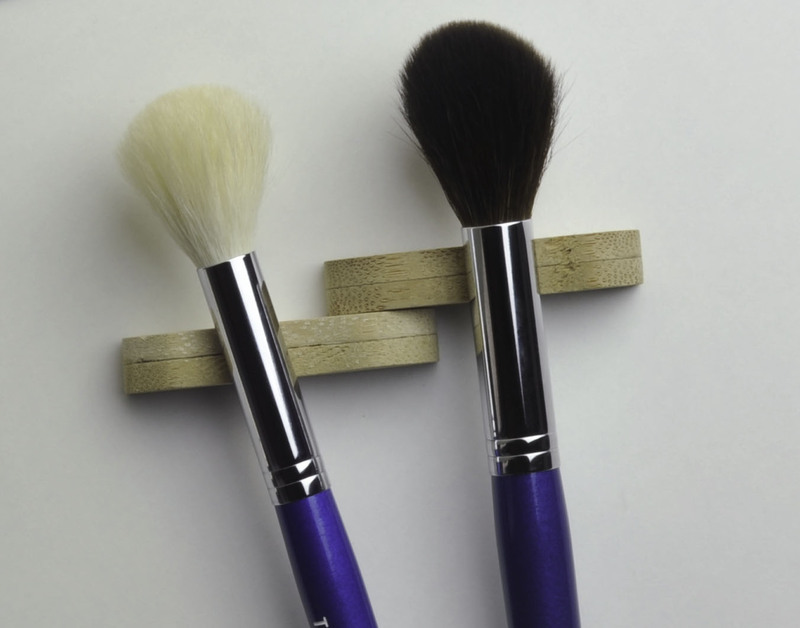 The YSS 17 is a grey squirrel highlight brush, 6300 yen. 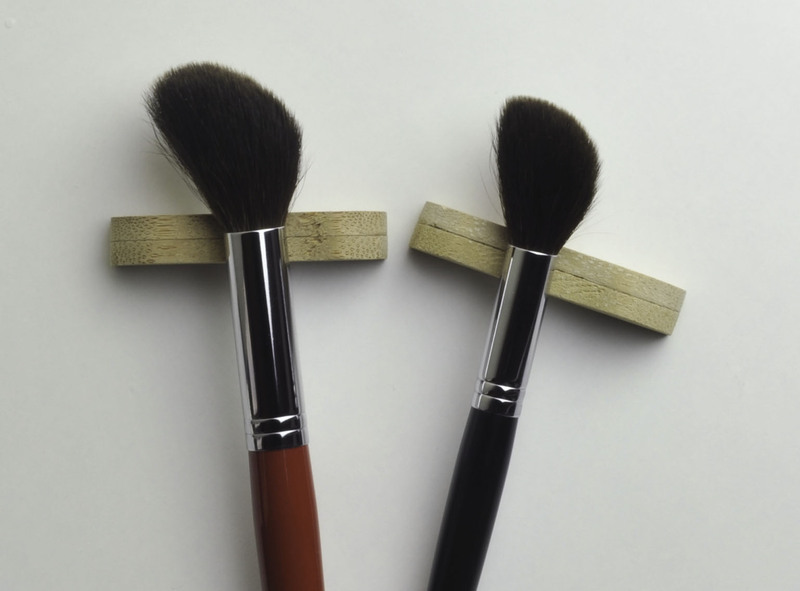 The YWC 14 is a goat eyeshadow brush, 2940 yen. 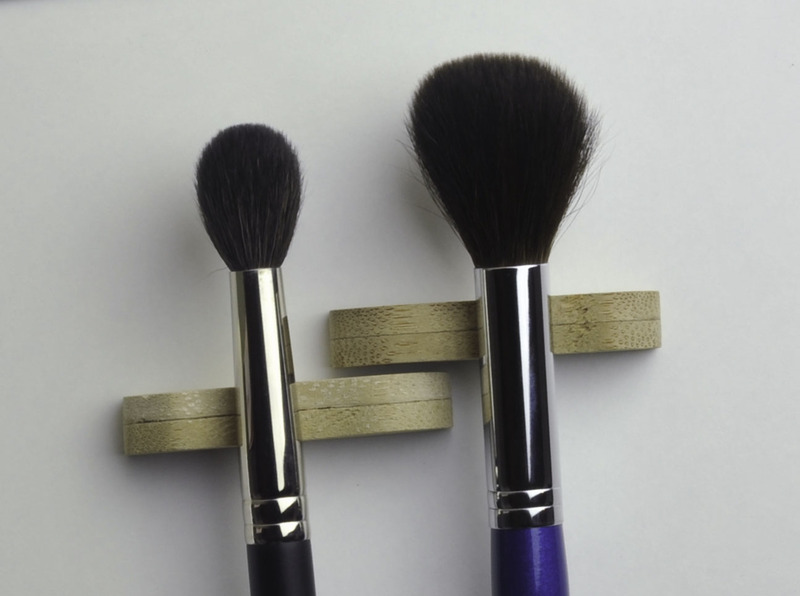 The YSC 17 is a grey squirrel cheek brush, 6300 yen. I wanted to try different cheek brushes, soft and smaller than usual blush brushes, if possible a shape that I didn’t already had in my collection -which I admit is difficult to achieve at this point. I think I was never tempted by this kind of brushes in my earlier quests, maybe Hakuhodo have similar options, to be honest I don’t even know, I first started to build my collection with brushes that I needed the most. Today I look at different options that I am very curious to try. I ordered them on their website, got them delivered to Tenso and the whole process took less than 1 week ! Impressive ! I recently got the SS14 but I wanted one slightly bigger that covered more surface at the tips, this YSS 17 is approx twice the size therefore better for blush application. The quality of the YSS 17 is outstanding, it’s not as firm as the SS14 but the hair is incredibly soft, soft like the Suqqu cheek brush actually. I have the impression that such soft hair is more difficult to bundle and will present small shape irregularities, you can see that the hair is not sharply bundled like the SS14 but I think it’s something that goes in line with the softness of the hair and not a default. Just my humble opinion. 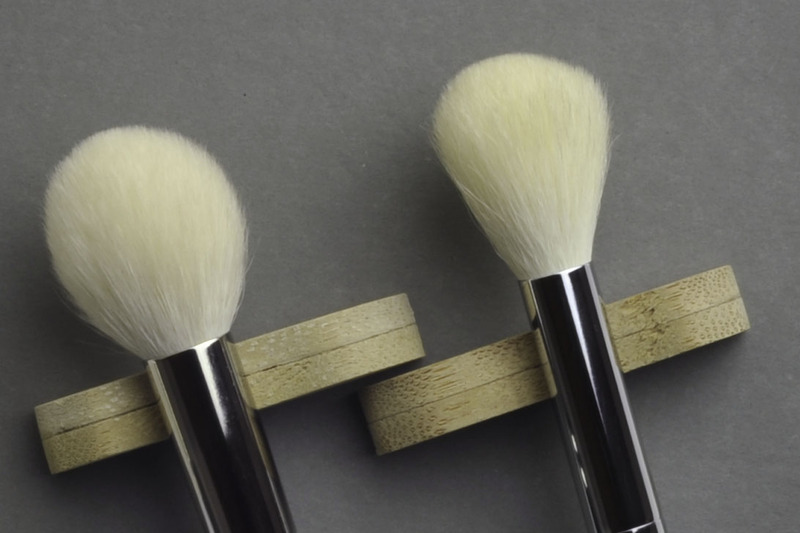 Compared to the Suqqu cheek brush, it’s not the same shape so don’t expect the same behaviour, the shorter side is firm, the longer side is extremely flexible. If you push the hair from the longer side to the shorter side (the opposite you would do during application), then you get similar spring than with the Suqqu. It does blend better than the Suqqu since the shorter side will put more pressure when you need to and the longer side softly diffuses as you go. I can also apply my blush in swirling motions with this brush, absolutely no problem at all, it works with all types of products and even with less pigmented blushes. Compared to the Hakuhodo J5521 the YWC 14 has the same softness, not as firm, not as dense, but the hair is exactly same length. Compared to the Hakuhodo J5533 the hair of the YWC 14 is softer but obviously it’s much bigger and more rounded. I thought a picture near my face would help give you a better idea of its size. The YSC 17 is actually one of my favorites brushes to apply blush, I will need a few more days to give my final judgement but I am *very* pleasantly surprised, I use it for blush application, to me it feels softer than the Suqqu Cheek brush. 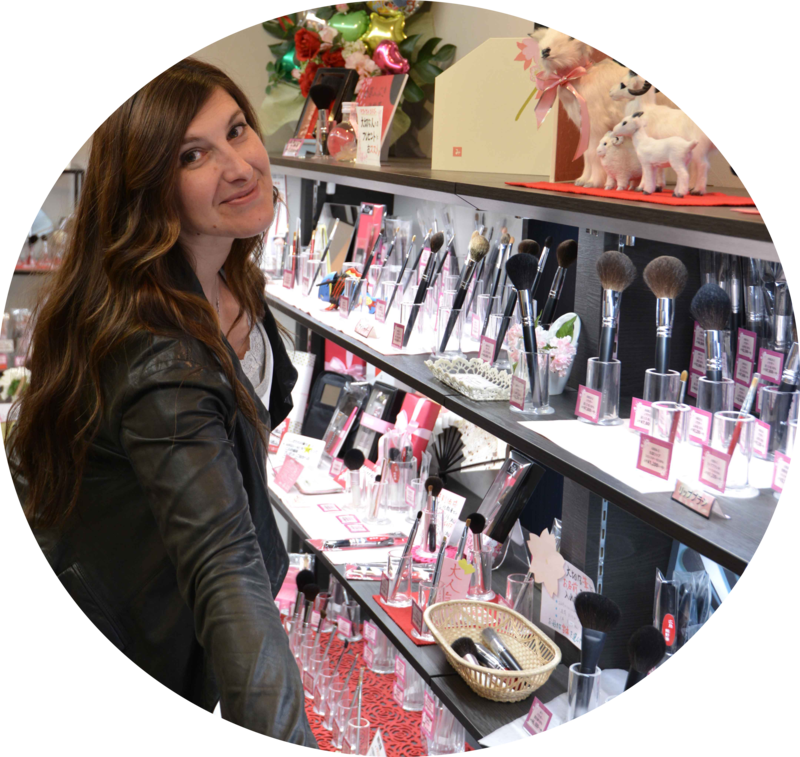 Even though it’s flexible and very soft it keeps its shape and you have enough surface at the tip of the brush to easily apply blush and blend, you can put pressure, it will place and buff the product very softly but efficiently. 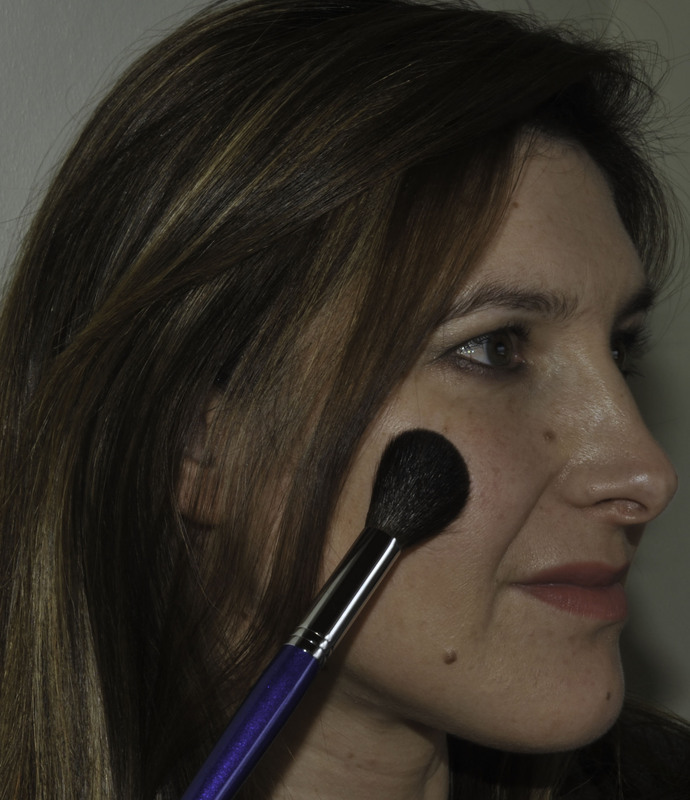 I love that I can apply blush in rounded (swirling) motions, the result is flawless and extremely natural. 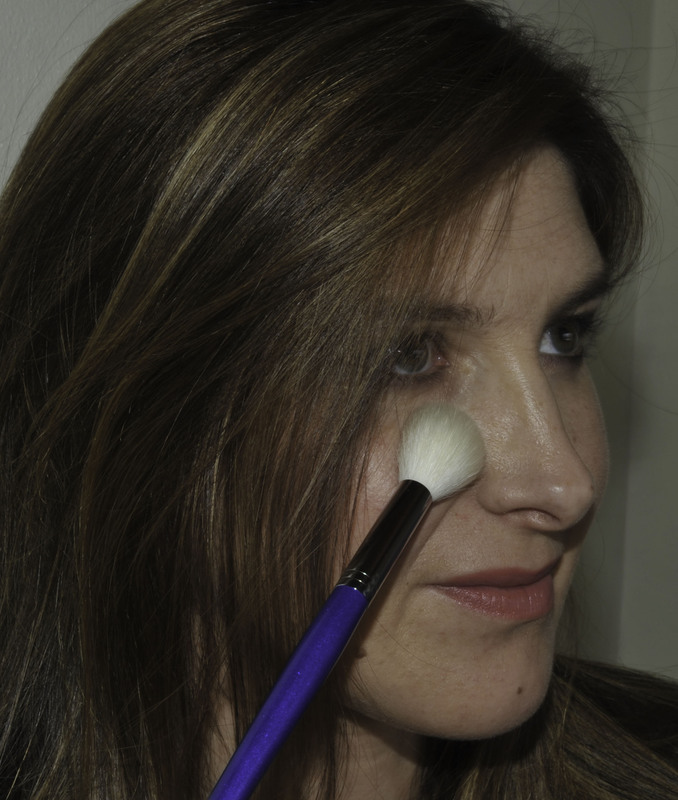 The tip of the surface measures 2cm diameter, but if I use it in rounded motions it will cover the perfect size of my cheeks and I can take it slightly upwards to the cheekbone. Tanseido strikes again – YSS 17, YWC 14, YSC 17 was last modified: September 24th, 2014 by Sonia G.
oh, these are so nice! 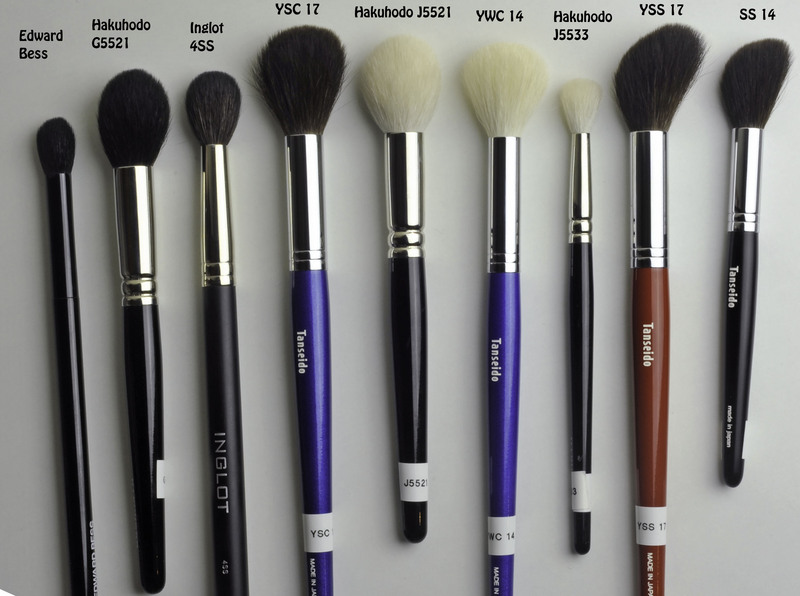 I love small not very dense face brushes as G511 from hakuhodo, these seem even better and more origanal, especially YSS17. 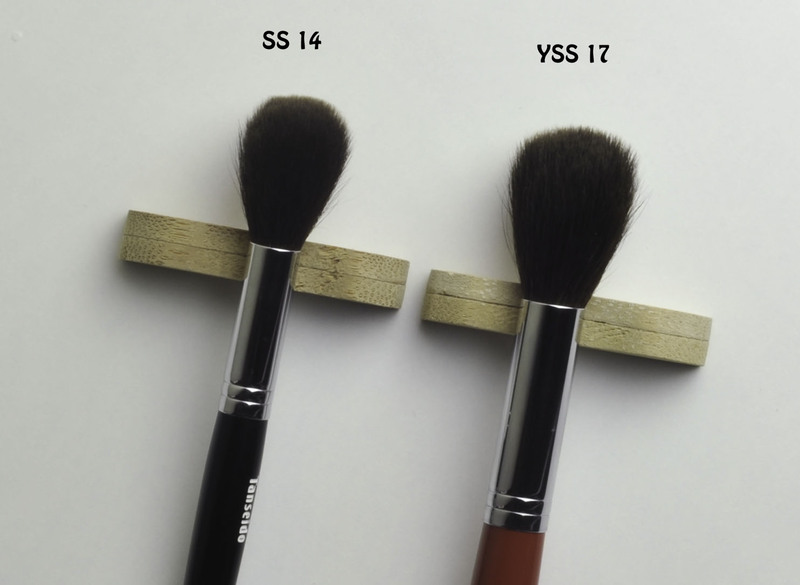 The Yss17 feels like a feather in comparison to the G511 and the base of the ferrule is round, I know you like very soft brushes so this is one you will love. The G511 is the size in the middle of Yss17 and SS14 just to help you imagine how it compares. Heaven help me! I am just starting to get into Chikuhodo with Malin but secretly, I am tempted by what you write about Tanseido. Thank goodness their site is in Japanese! We’ll see but for now, I’m going to stick with exploring Chikuhodo. I got the MK-2 from Malin and have 3 other brushes on order when she gets stocked up again. Can’t wait. I know you gave Nemo my email address and I thank you for that, she wrote me but I accidentally lost it. Can you tell her, or ask her if it’s OK for you to give me her email address? Thanks so much for your patience and help! I have been obsessed with your site since I made a impulsive Hakuhodo purchase in January and a subsequent more thought out purchase a few weeks later. I just wanted to say thank you for all that you do and that this is by far the best website for makeup brushes period. I have the Koyduo red squirrel brush on its way to me and I hope it is just as soft and nice as yours. Thank you for putting the brushes next to your face, that was very helpful. I have a Tanseido wishlist and the YWC 14 is on it and it is now a need because it will make the perfect powder brush, I just need to build up the courage to use Tenso. I have one question though, I am going to make another Koyudo order sometime this month and was wondering if the head of the fu-pa 08 is about the same size as the Real Techniques Expert Face Brush? I know they’re not the same shape but just general size of the heads. Thanks again! the first time you use Tenso it’s a bit time consuming but honestly today it got too scarily easy ! and one week from the moment I order till the moment I get my brushes is just incredible. I have checked and the RT is similar size as the fu-pa08, different shape but the head is quite similar size. Thanks for checking Sonia, the fu-pa 07 it is then. 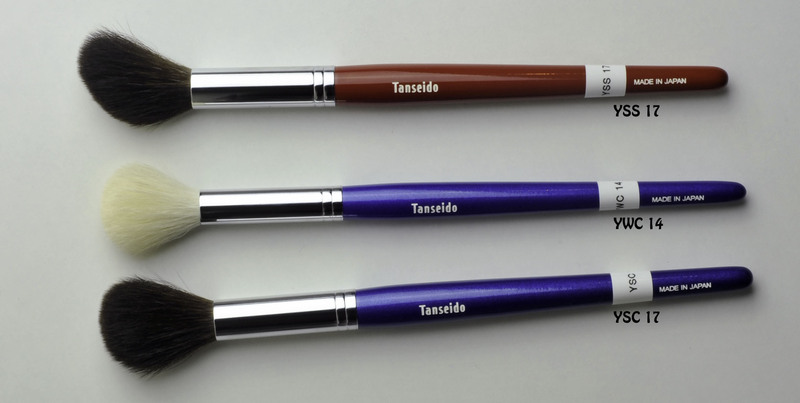 In Asian forums, many says that once you’ve tried Tanseido, all other brush companies seems mediocre.. except maybe Chikuhodo. I am beginning to think the same.. I can understand them, they sent me an email mentioning they have a small production site (probably scared they won’t be able to cope with the orders?!) don’t know, but I know their quality level is higher than many other Japanese brands. I don’t thinkk they will disappoint but I have tried their brownish-red dyed goat, neither the black one… I have to some day. Yeah, I read from some forums that they have a very small production site.. probably why would not want to cope with international orders.. and perhaps it would be easier for quality control. The Tanseido goat brushes are insanely soft, how do you do a quick cleaning for this kind of goat hair? Paper towel / baby towel but no BB spray? I use paper towel (I spray very very little BB spray in the towel and very briefly rub the brush) but most of the time I just wash them, they dry very quicky. Another fabulous, fabulous post, Sonia. It’s always about quality here and I love that because my vanity/ego/self-worth demands make-up but my aging skin dictates the softest of the soft. Devin, do you know about Tommy? She has an enabling service for placing orders with Japanese firms from abroad. She has an FB page and a blog. Try googling bringblingjpto find her. I’ve placed a Tenseido order, based on Sonia’s recommendations, with her. Oops- that should be bringblingjp to find her. Btw, I’ve been meaning to ask, do you have a special reason for choosing red or blue for your handles? A colour code, or is it at random? Was just curious! I was trying to take blue handles for eyeshadow brushes and red for face but I did not manage to follow it 100%.. Sorry we don’t have any short handle version of YSC17 YSS17. If you and your friends has any other question, Please feel free to ask us. Thanks so much Sonia! I prefer shorter handles. Like Bonnie sez, long handles make it difficult to maneuver if you’re really short sighted lol! 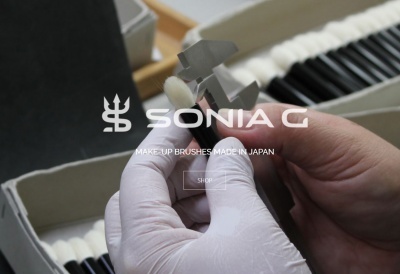 Hi Sonia, which one is softer ysc 17 or suqqu cheek?